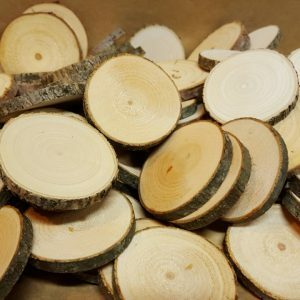 Tree Round Ash, 7″-8″ diameter, 1″ thick, 30-55 years old. 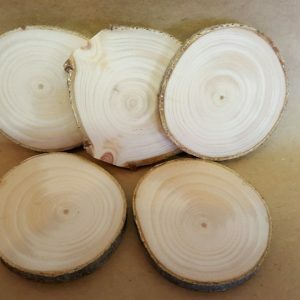 Rounds are dried, sanded then sealed to prevent cracking. 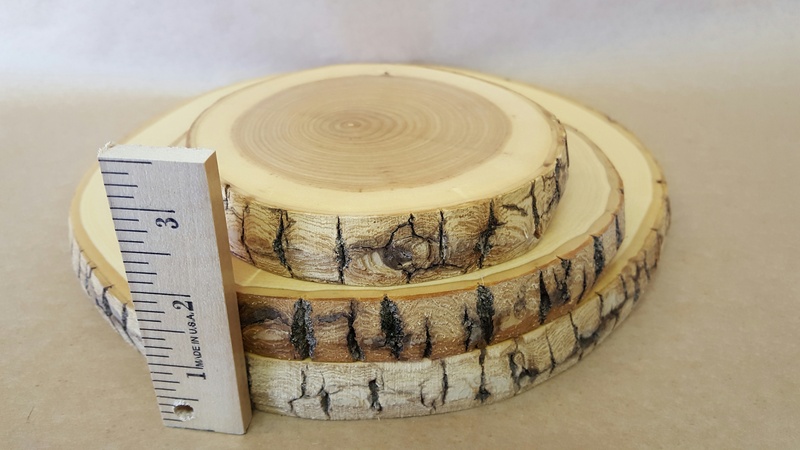 Like a fine piece of furniture, these rounds will be a fixture in the classroom or any project for generations. 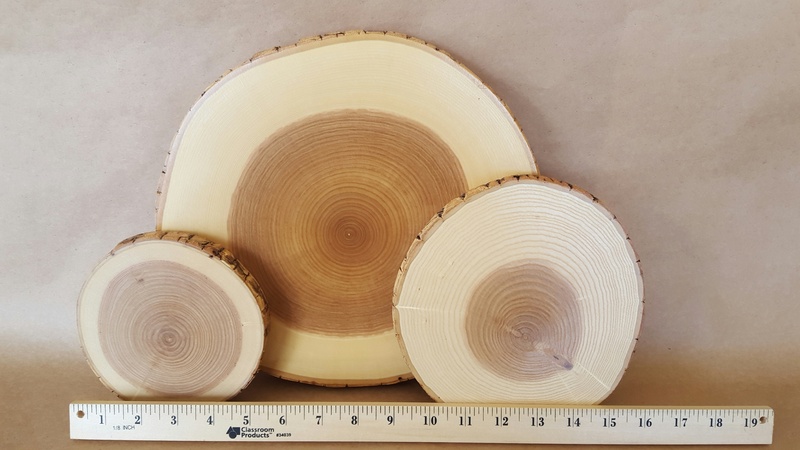 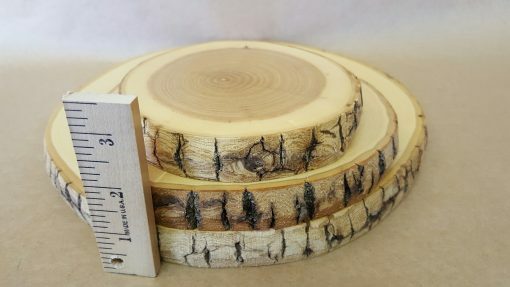 These large tree cross sections clearly show the growth rings, core wood, sap wood and bark. 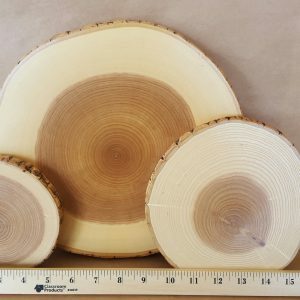 Placing a real life tree round in the hand of a student greatly enhances education and retention.